I read a pretty scary statistic online, which outlines that the average person stares at their smartphone screen for a minimum of 3 hours a day. In fact, that number went from 0.3 hours to 3.3 hours between 2008 and 2017. Today, it’s anywhere between 4-6 hours, which is anywhere around 30% of the time we spend awake. That’s 30% of our waking life spent staring at pixels. Mike Elgan points out that if we spent that time reading books, we could literally read upward of 200 books PER YEAR. So how exactly do we break this addiction to smartphones? A great way to go about things is buy what they call a ‘dumbphone’. Dumbphones, or the phones we were used to from 15+ years ago, used to be pretty great. People would actually call each other up and talk rather than send texts, emojis, and ephemeral selfies. Fake news was at an all-time low. Phones were cheaper too, back then… and most importantly, a phone’s battery lasted anywhere from a week to a fortnight. Dumbphones today base themselves on the same principle. Remove the app store and internet connectivity, and you’ve got yourself a phone that isn’t really capable of spying on you, and will prompt you to spend less time staring at pictures and videos of superficial lifestyles on social media, and more time doing things of value… like reading those 200 books each year. 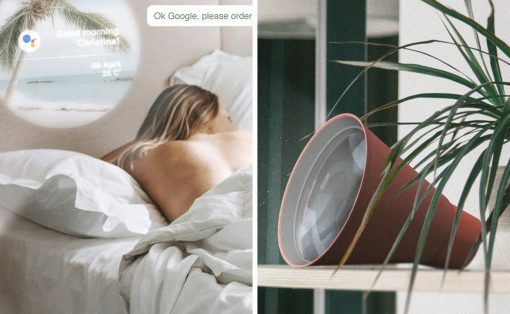 We look at 10 beautiful products that solve our screen-addiction, and help us unplug from the toxicity of superficial social-network-based lives. These designs help us achieve what we need, with exactly the amount of resources needed to be productive, healthy, and happy. Let’s start simple with the Blloc Smartphone. For people who want (or need) to stay connected to social media (like me for instance, given that 90% of my job revolves around being informed and connected), Blloc has a pretty clever trick up its sleeve. It redesigns the entire OS to be completely black and white, and creates a block-based home screen that gives you all your snippets directly in the menu, rather than needing you to open each app. This, along with the phone’s grayscale OS does WONDERS for your battery life, and leaves you slightly less addicted to your phone’s flashy, colorful OLED screen. Craving some color? Blloc even allows you to briefly view your content in color, just by placing your finger on top of the fingerprint sensor at the back! A great, minimal-compromise option for battling screen addiction! Although the name isn’t particularly catchy, Kyocera’s KY-O1L is a lot like the Blloc, but takes the dumbphone ethos more seriously. 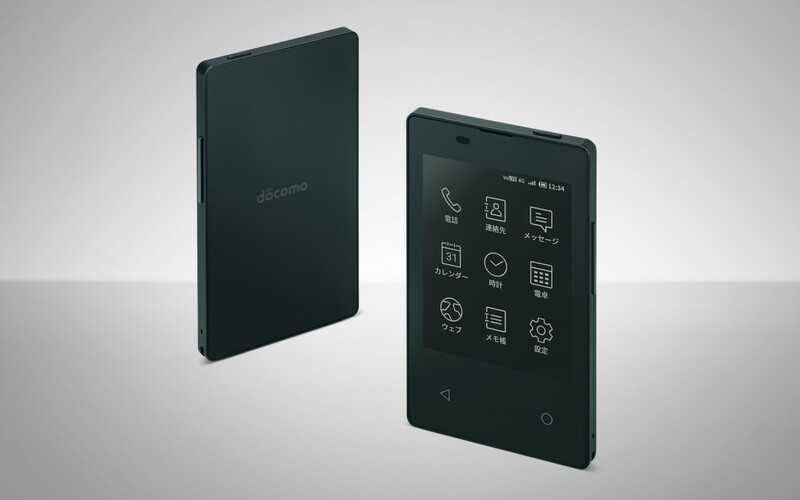 A recipient of the Japanese Good Design Award, and also touted as the world’s thinnest phone, the KY-O1L is literally the size of a credit card, and just a couple of millimeters thicker. Designed for the white-collar workers who still rely on business cards, the KY-O1L fits right into cardholders, allowing you to have a phone along with your cards that you can A. carry around with you, and B. Use to instantly make calls, save contacts, and access the web for work-related reasons. The phone does pack an LTE connection, but doesn’t have an app-store. All internet-related work is done via Kyocera’s browser, which not only optimizes webpages to keep them simple, but also displays them to you in black-and-white, an experience that may take getting used to, but will surely provide function without the mindless addiction. The ideal phone for the kind of person who believes in hustling, keeping technology in check while being able to communicate with the world, and most importantly, safeguarding their privacy with technology that doesn’t use apps or cameras to spy incessantly on them. It doesn’t sound that bad when you say it that way, does it? I wouldn’t go as far as to call the Punkt MP02 a ‘dumbphone’ because it isn’t. The phone comes with 4G LTE capabilities, but in almost every regard, it’s the absolute antithesis of your conventional, bezel-less, dual-camera, slick-and-shiny, addictive smartphone. It comes with all the features needed in a communication device. 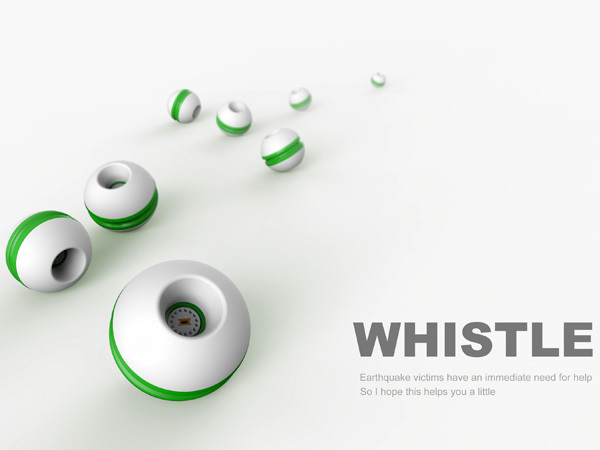 The ability to call, text, and receive calls and messages from others. It also comes with an absolutely finger-loving tactile keyboard that you’ll be able to operate with muscle-memory after a month, letting you text without even looking at your screen. The phone comes with an eye-friendly black-and-white screen, and does boast of 4G LTE, but not in the way you think. The 4G LTE feature on the MP02 works as a hotspot, allowing you to use your laptop or tablet to browse the web… only when needed. This slight bit of friction (when it comes to accessing web-services) means you’ll spend less time on the internet, and more time doing things of consequence. This is the U18. It’s a bare-basics phone designed for parents to give to under-eighteen-year-olds. It’s a phone that your child will probably not like, but then again, teenagers often don’t know what’s good for them, right? It allows children to make, answer, and reject calls, add and remove callers, and call your dad, mom, or set up a group call for parents/siblings. It even has a WeChat button that’s probably limited to reading texts, and a voice-command button that lets you tell the phone who you want to call. Flip the phone over and it has a camera for video calls (there’s also a secondary front facing camera), and even a panic button for sending SOS signals to your emergency contacts. Designed to be the perfect first-phone for youngsters, the U18 supplies them with all the functions needed to stay connected with the people who truly matter, and strips away all functions that could get children hopelessly addicted to phones and social media, and additionally even protect their privacy by keeping them away from apps that spy on them or gather their precious data. 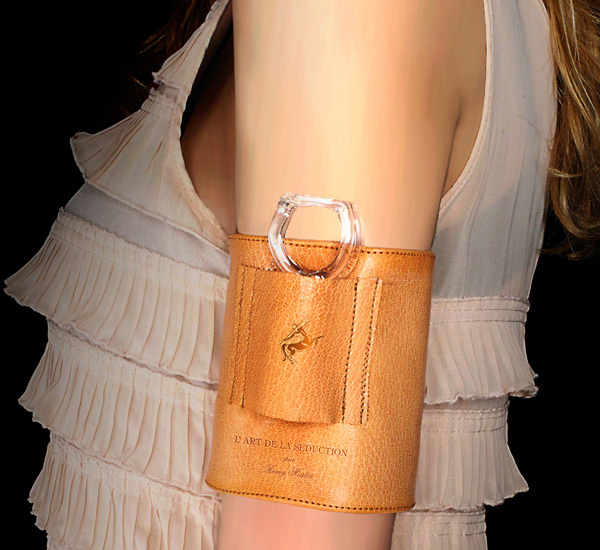 The Halcyon does one very crucial thing right. A person’s only motivation to leave a smartphone either stems from A. realization and frustration with the addiction, or B. being presented with a better alternative. 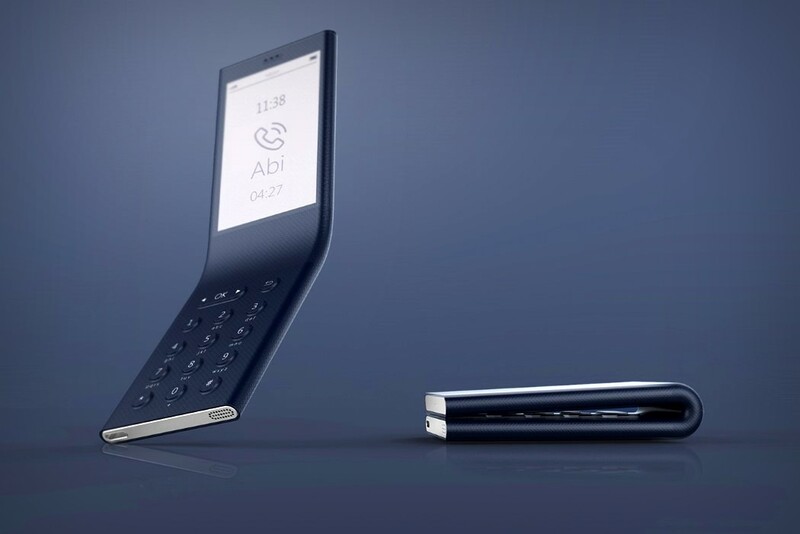 The Halcyon concept phone was birthed keeping both those motivations in mind. 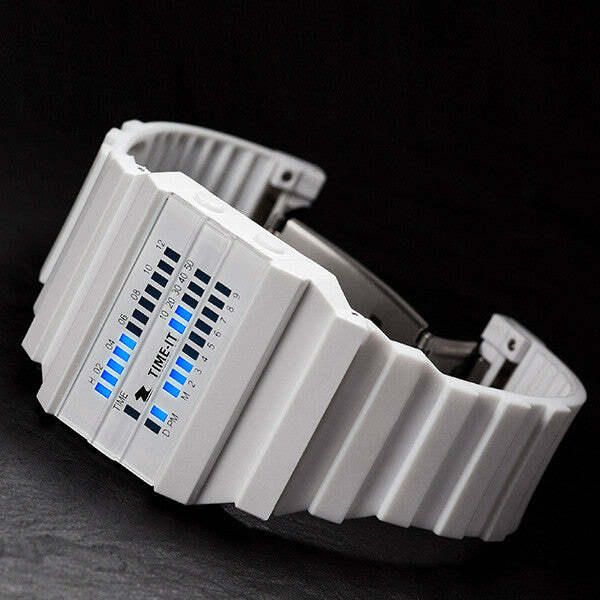 It boasts of a gorgeous, flexible design that rivals most smartphones in aesthetic beauty. 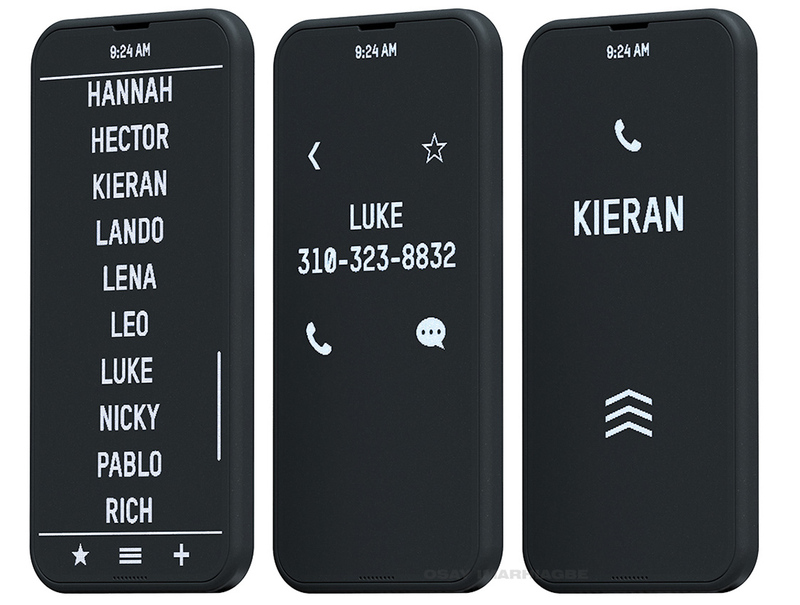 Made in a clam-shell format with basic controls and two screens (one on the front-face and one on the inside), the phone serves as a simple connection tool, allowing for phone calls and text messages only. 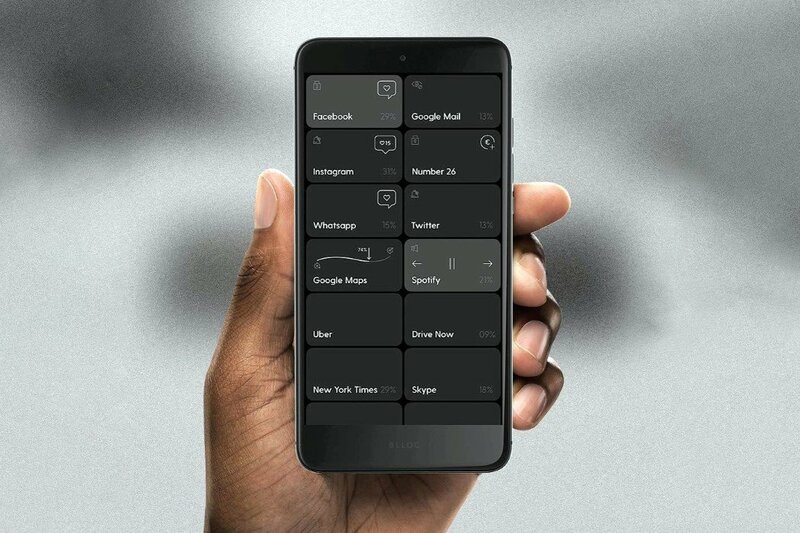 The black and white UI keeps it simple too, discreetly notifying you when you have a call or a text, and otherwise constantly reminding you to stay in sync with the world around you with its slogan “reality awaits”. 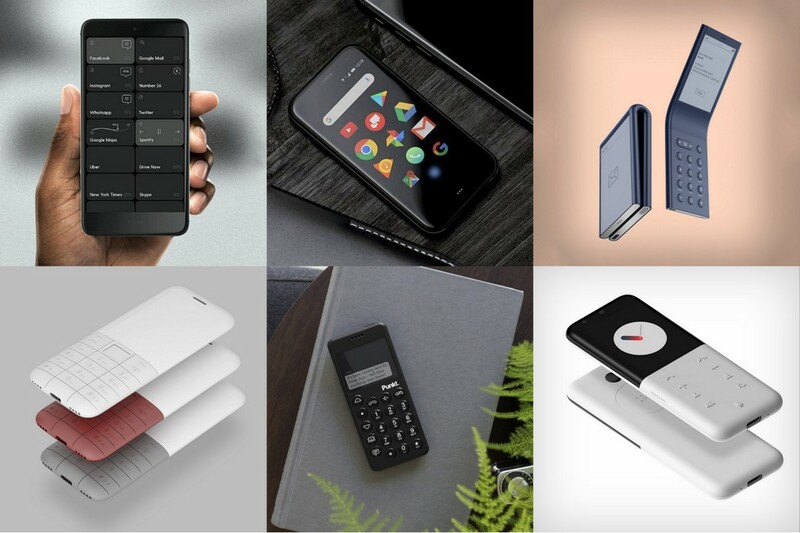 A winner of the 2018 Red Dot Design Concept Award, the Offline phone is your regular candybar dumbphone, but with a beautiful minimal aesthetic that actually makes you want to adopt it. Composed of just a standard numeric keypad and a rather eye-catching opaque screen, its ultra-minimalist, stark aesthetic is complimentary of this goal. It’s seemingly simple, but does allow the user brief periods of internet access so that they are always mindful of how they spend their time online. No camera, no superfluous applications… just back to basics so you can live in the real world! 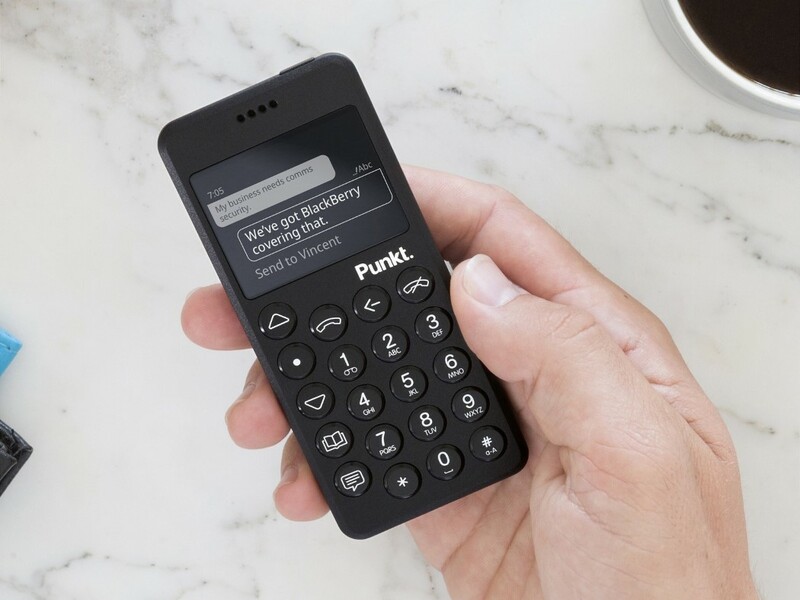 I get the hilarity of naming a dumbphone after Kanye West, but this isn’t about dissing the great rapper (with a not-so-great reputation on Twitter). This stripped-down smartphone ditches the display entirely for a matrix of miniature lights (you can see them up close here) that form a touch sensitive LED array (a reference to the recent stage designs of John McGuire, featured as part of Kanye West’s Saint Pablo Tour). The phone comes with a reinvented OS too, allowing you to do just the important stuff. Make and take phone calls. Now if only Yeezy did the same too! This right here is peak dumbphone, but it showcases a technology that’s nothing short of marvelous. The Battery-less phone, although it exists only in prototype and can’t really be bought, runs without ever needing to be charged. 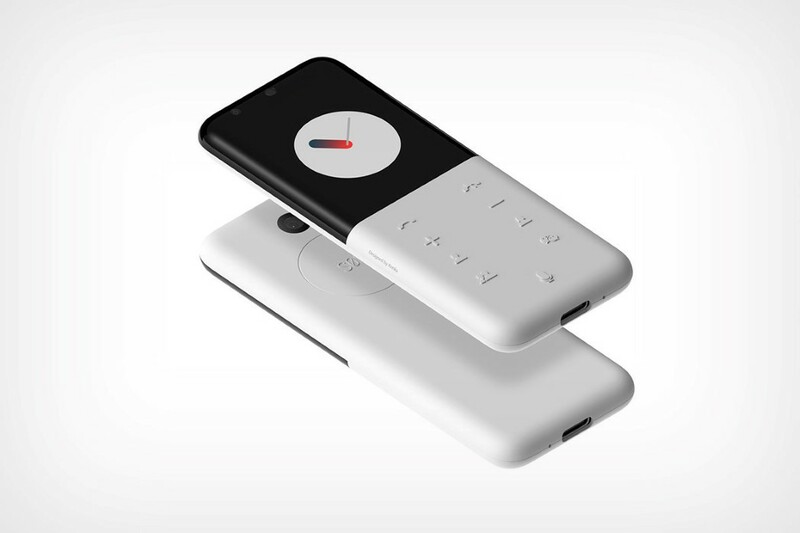 Stripped of all its functions, except calling, the battery free phone actually uses and needs minimal amounts of energy which it harnesses via light around it, and radio waves that linger in the air. 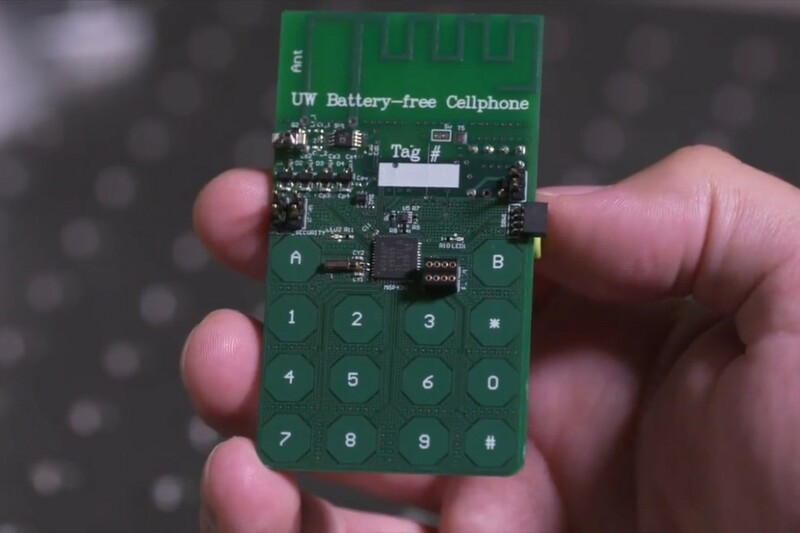 You can make calls via the capacitive number pad, and it uses Skype to communicate with other phones. However, whenever you want to use the microphone, you need to hold a mic button down to relay your voice (much like a walkie talkie). The phone is just a stripped down grouping of circuit boards and wires for the time-being, but we can expect a fully made mobile phone too quite soon! Marvelous, eh? You can check out the phone in action here. Maybe the answer isn’t a dumbphone. 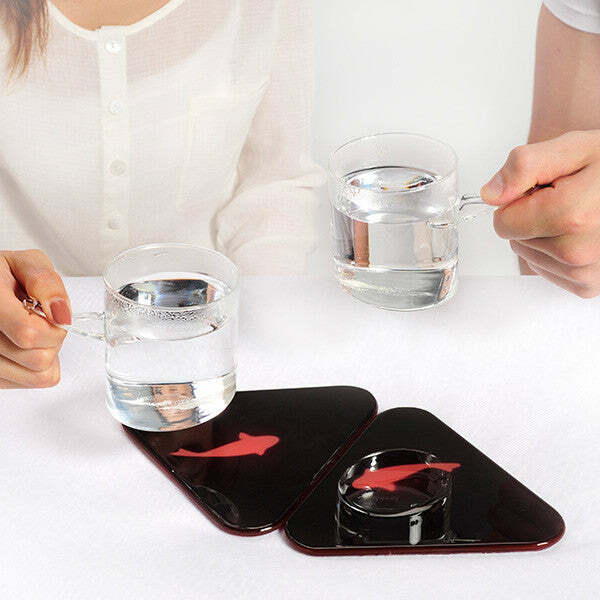 Maybe it’s a fidget toy that channels your addiction/distraction into something less intense. That’s what the Substitute Phone is. The designer put it best: you’re on the metro and grabbing at your phone at the first sight of seeing someone else receive a message. It’s a bizarre and unhealthy inclination feeding our attention deficit and we’re all guilty of it! 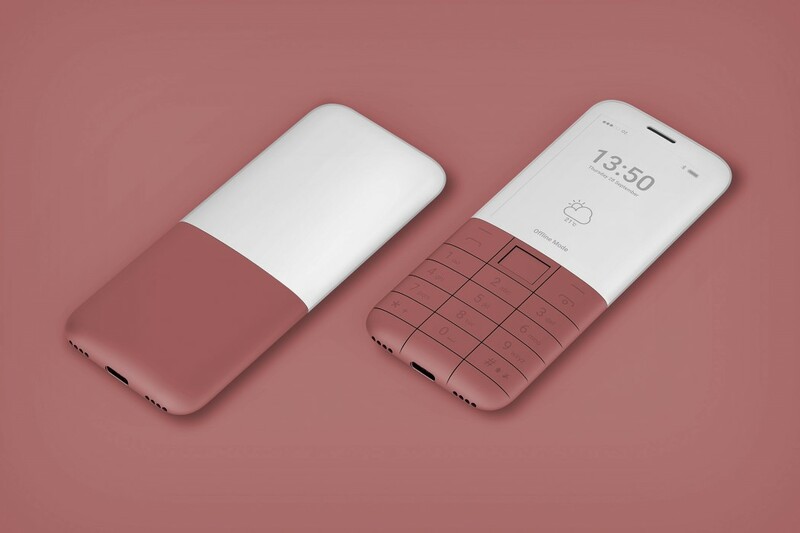 Designed with this in mind, the shape of the Substitute Phone replicates an average smartphone, however, its functions are reduced to the movements we make hundreds of times on a daily basis. 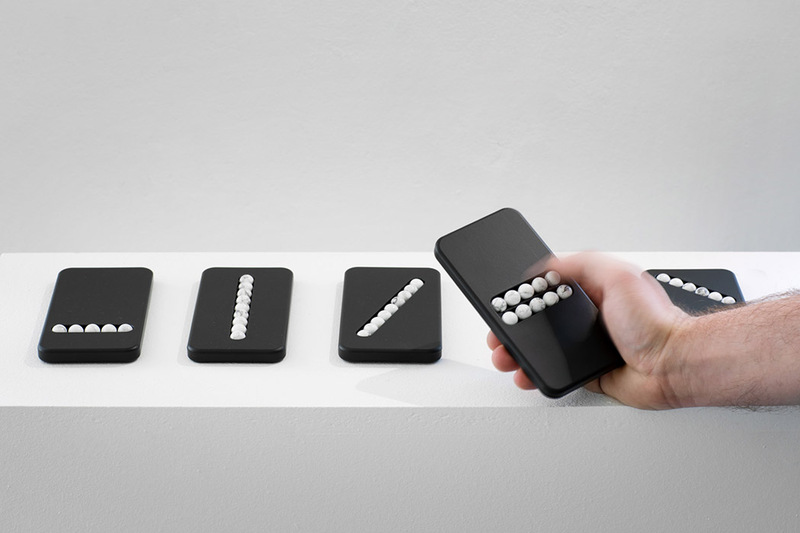 Stone beads are incorporated in the body and let you scroll, zoom and swipe so to speak. No digital functions – just the simple, familiar motions. It’s the perfect, therapeutic approach to coping with smartphone withdrawal. 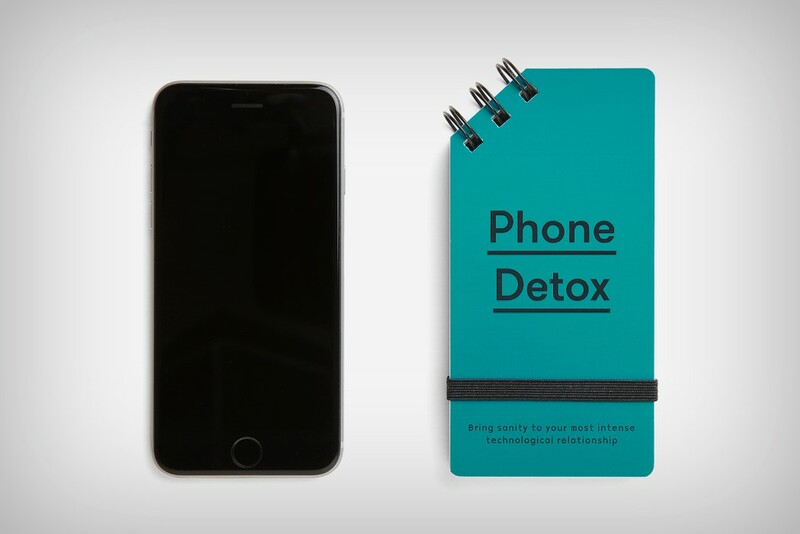 I mean, if you’re going to ditch a screen to read a book, maybe start with the Phone Detox? A palm-friendly, phone-sized book that contains insights, ideas, and meditations that help you get over your heavy dependency on your phone, social media, and validation addictions. The book covers relevant topics like Addiction, Monasticism, Poetry, Nature, Dating, Utopia, and even Death. Its aim being to allow us to take a step back, breathe, and contemplate a little, rather than simply consuming content the internet keeps throwing at you. That’s right. Put that screen down and enjoy life and its beautiful imperfections! 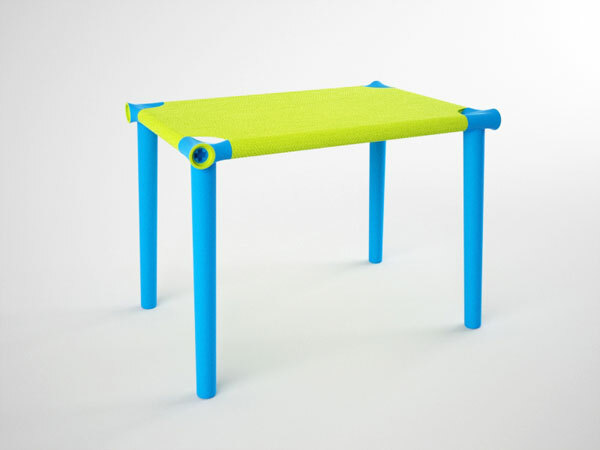 This brilliantly colored table by designer Carlos Pendas is a whimsical kid’s desk that uses tensed fabric as a surface rather than an ordinary hard top…. The Next Development for Personal Assistants? Previous articleThought that was a MacBook? Look again, it’s a hybrid iPad Pro!